My 3 1/2 (closer to 4 actually) year old granddaughter loves books and she loves being read to. She knows her alphabet really well and can spell her first and last name. She’s a smart kid. I love reading to her and my wife often takes our granddaughter to the local public library to check out books, lots and lots of books. The other day, I came home from work, and after my granddaughter woke up from her nap, she wanted me to read to her. 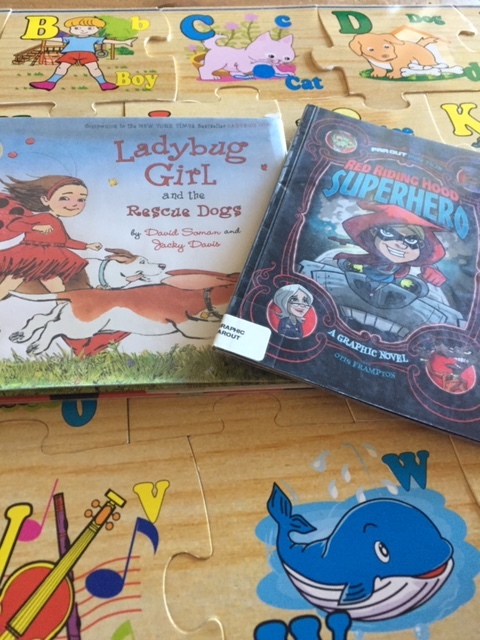 Two of the library books she chose were Ladybug Girl and the Rescue Dogs by Jacky Davis and Red Riding Hood Superhero: A Graphic Novel by Otis Frampton. When I got home from my day job yesterday, it was sitting on my desk waiting for me. What a thrill. 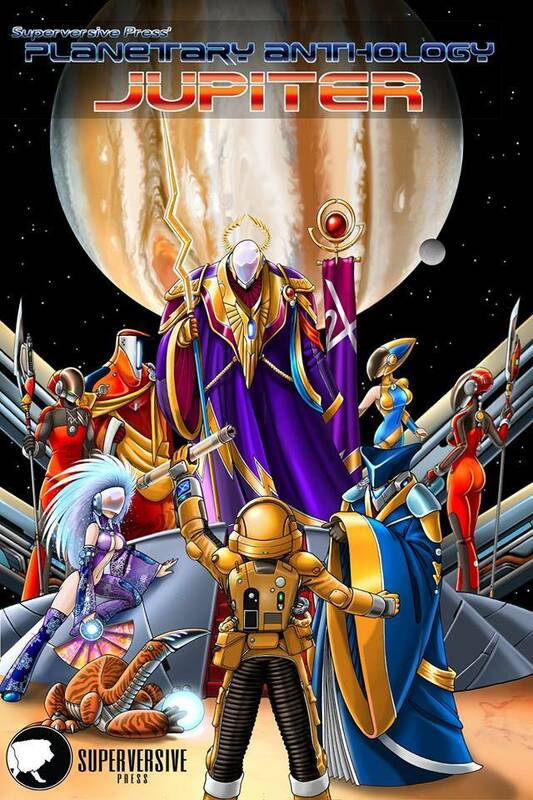 Planetary Anthologies Call for Submissions! 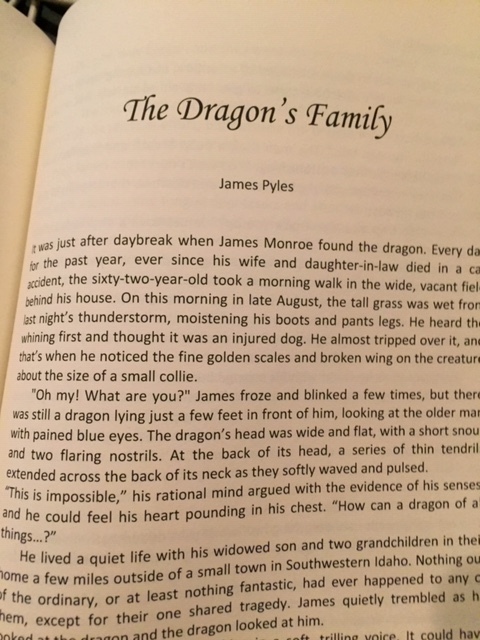 As my regular readers know, so far in 2019, five of my short stories have been accepted for publication, with three of them being currently available. 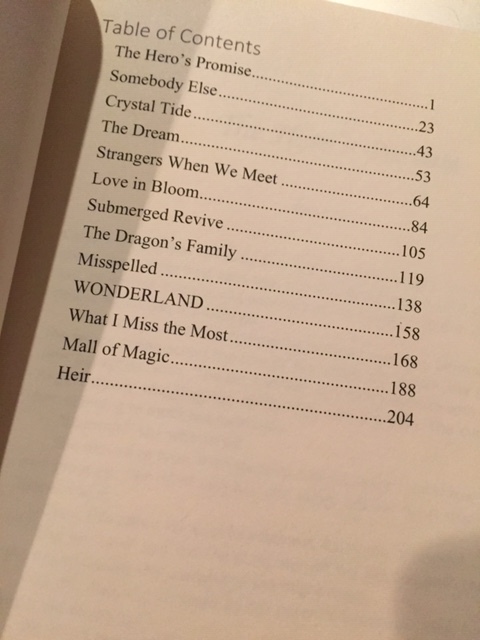 Sadly, as of this morning, seven of my submitted stories this year have been rejected. The most recent rejection stung a bit more than most because it’s Biblical SciFi, which doesn’t have much of a market in mainstream publishing (if you’re interested in finding out more, ping me). 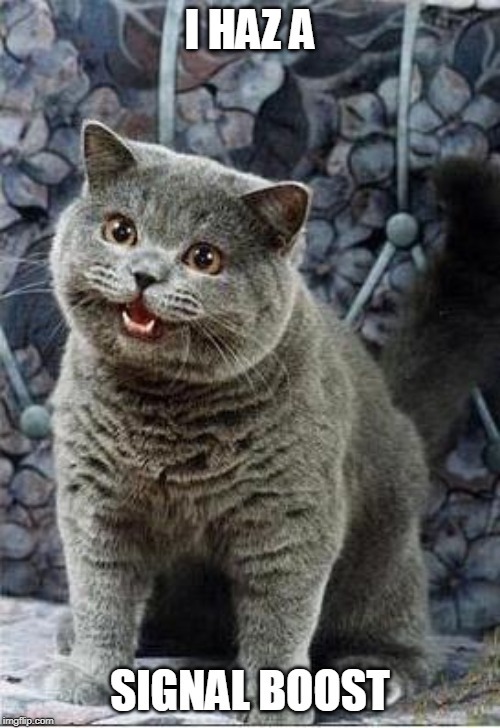 However, I just found out about a few new opportunities and in fact, they need your help. Posting to a community forum (mailing list, social networking site, discussion board) in hopes of getting more attention for an event or cause. This is not the primary or first announcement, but rather one of many auxiliary posts or cross-posts to communities with individuals who are likely to take interest. This will hopefully be the first of many since no one can read your stories unless they know where to find them. Click the LINK and please pass it along. Oh and yes, L. Jagi Lamplight Wright, who wrote the signal boost, was the teacher of the online writing class I took last November. 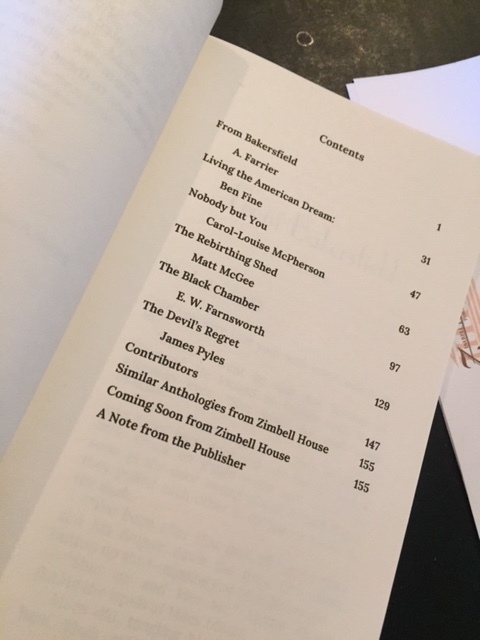 I didn’t think this would happen so soon, but the three anthologies I’ve been published in so far this year have started to get a bit of buzz. 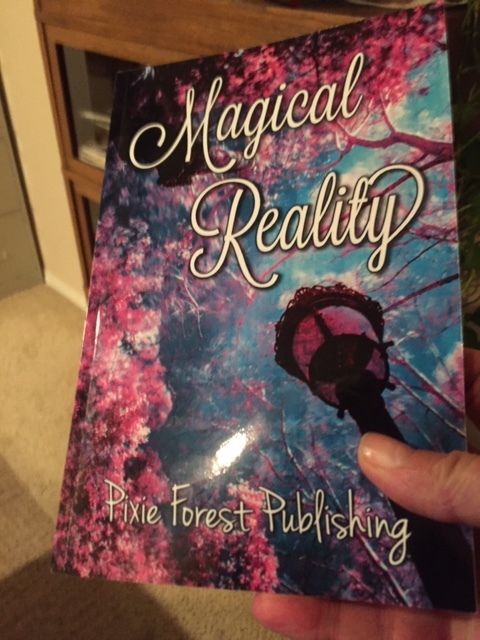 Pixie Forest Publishing’s “Magical Reality” featuring my short story “The Dragon’s Family” has three 5-star reviews (and ratings on goodreads) on Amazon and goodreads. 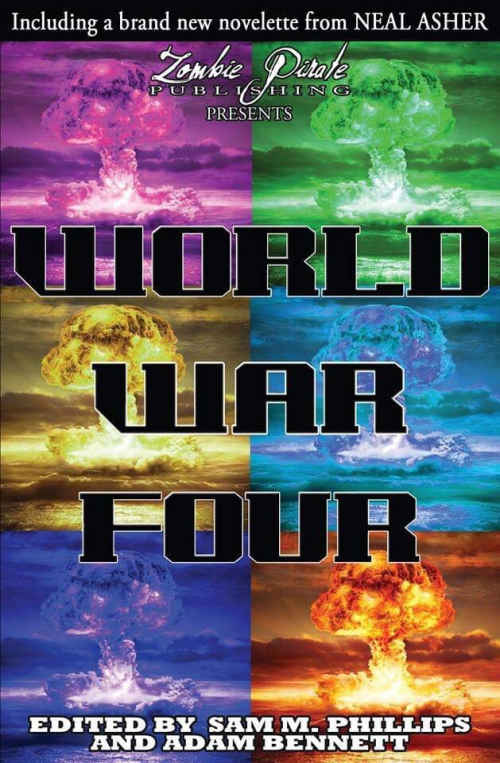 Zombie Pirate Publishing’s “World War Four” containing my short story “Joey” has a total of 29 goodreads‘s ratings (no reviews so far) with a total score of 4.93 (out of a possible 5.00). 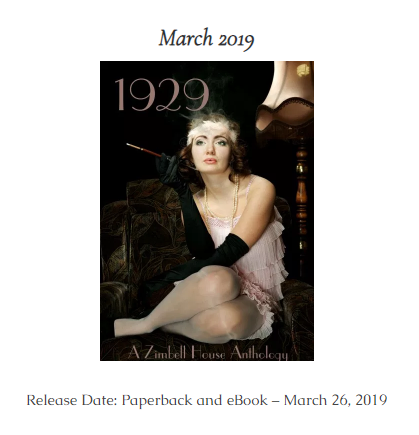 And even though it only became available for purchase yesterday, Zimbell House Publishing’s “1929” received a single 5-star rating on goodreads, although to be fair, the rating was from the publisher. 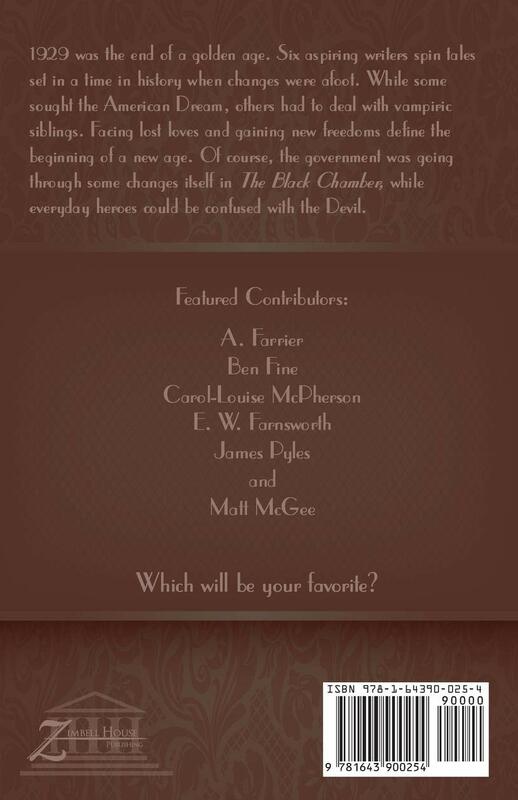 My short story “The Devil’s Dilemma” is featured in the Zimbell House Publishing anthology 1929, which includes six tales in multiple genres, all set in the year 1929. Sixteen-year-old Timothy Quinn grew up in New York’s Hell’s Kitchen, working as a “printer’s devil,” an apprentice in a newspaper print shop since age twelve. One day, the teen and would-be boxer starts hearing strange news announcements on the radio that seem to come from the future. Then he learns that in the next seven weeks, a ten-year-old girl will be kidnapped and murdered by a notorious serial killer. No one believes his wild tale, so he sets out to confront the killer himself, but will he succeed in saving the life of an innocent child only to sacrifice his own? 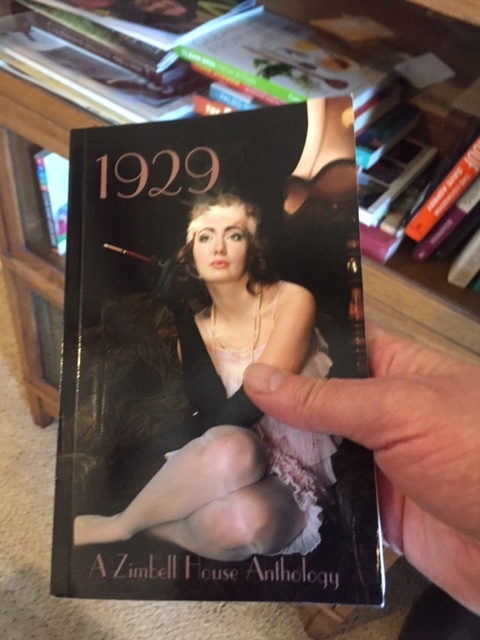 “1929: A Zimbell House Anthology” is now available at Amazon and Barnes & Noble. 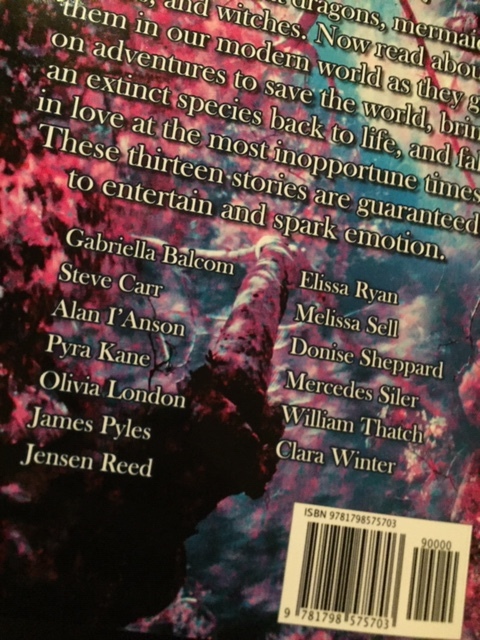 World War Four got a nice “shout out” at CK Fiction. Have a look. 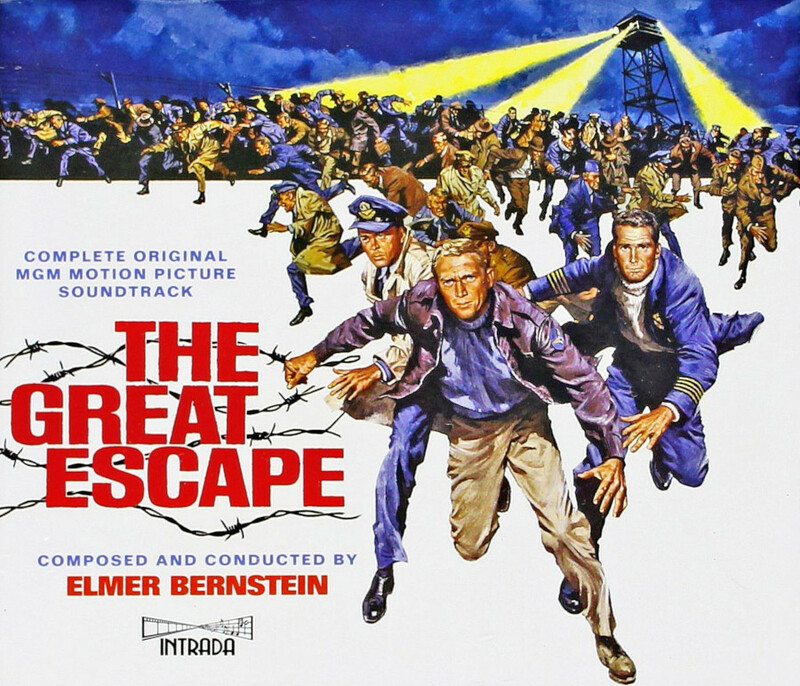 The Great Escape (1963) is one of my all time favorite films. It features an all-star cast which includes Steve McQueen, James Garner, Richard Attenborough, Charles Bronson, among many, many others. The film is based on a 1950 non-fiction book written by Paul Brickhill chronicling a firsthand account of the mass escape by British Commonwealth prisoners of war from German POW camp Stalag Luft III in Sagan (now Żagań, Poland). The film is a highly fictionalized version of those events and made numerous compromises which departed from fact, including the addition of three Americans to the cast (McQueen, Garner, and Judson Taylor) to accommodate U.S. audiences. Yes, it arrived in the mail yesterday. I’ve been out of town with my wife visiting my Mom about an eight-hour drive away. Even though we got back a day early, we were occupied all day yesterday and into the evening with grandchildren/family, so I haven’t been online much. 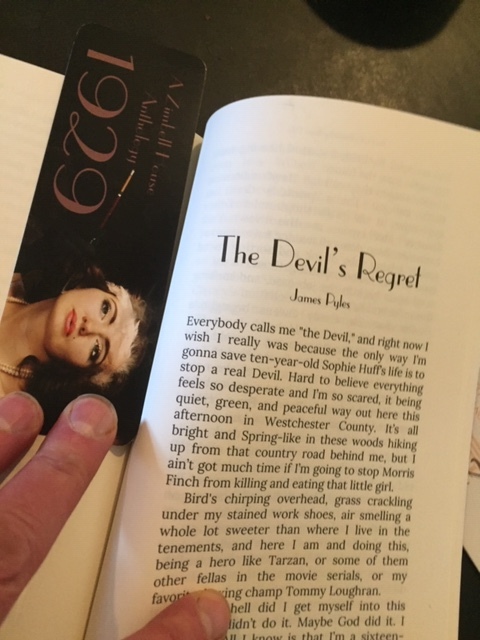 It was a real pleasure to finally see a story of mine in physical print. I’ve been a published author of information technology textbooks and self-study guides for about fifteen years, but this is the first fiction story I’ve been able to see and touch. Hope this is just the beginning. Long centuries ago, when “The Wizard’s Saloon” had first been established, the population of its visitors, many but not all from Britain and the European nations on Earth, were illiterate, or read and spoke languages not native to the proprietor. 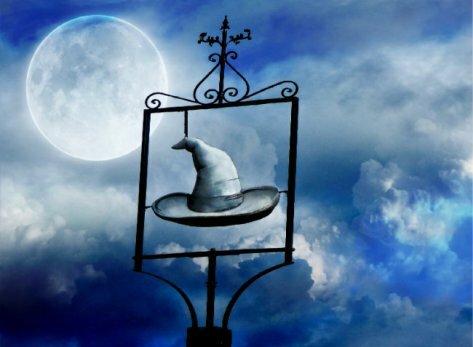 The sign, a conical wizard’s hat mounted in a frame atop the roof, communicated very well across cultures and species just what sort of proprietorship was within its gray stone walls, and behind the large, oaken door, and stained glass windows. Kyle Logan, a refugee from the realm of Nightmare, and a minor vassal of Dormammu before that, cautiously gripped the tarnished brass handle and pushed in. He looked human enough, just shy of six-foot tall, tangled brown hair draped over his forehead and ears, sharp green eyes scanning left and right looking for any hint of trouble, dressed in mismatched jacket and trousers (gray and brown didn’t go well together) over a wrinkled black t-shirt. His Air Jordan 13 Retro shoes were the only thing that was new, but only because he had stolen those last, having gotten lucky enough to materialize momentarily in a 1984 Los Angeles shoe store.